After two successful seasons in the Pro All Star Series (PASS) South, Gray Gaulding Racing (GGR) is pleased to announce that 14-year old racing sensation Gray Gaulding and the #20 Krispy Kreme Toyota will now be chasing the checkered flag in the NASCAR K&N Pro Series. 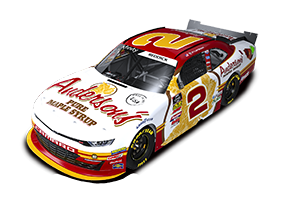 With the support of Krispy Kreme and a host of major sponsors including Dean Foods, Toyota Racing, Impact by Mastercraft Safety, WileyX Sunglasses, and Anderson's Maple Syrup, GGR will enter the K&N series with a newly acquired race shop, crew chiefs, cars and equipment- including the #20 car previously owned by Joe Gibbs Racing. NEW IMAGE(S) ADDED ON 11/11. Click here to view the entire press release for this partnership. Click here for additional pictures on flickr. Click here to view the NASCAR Next announcement.